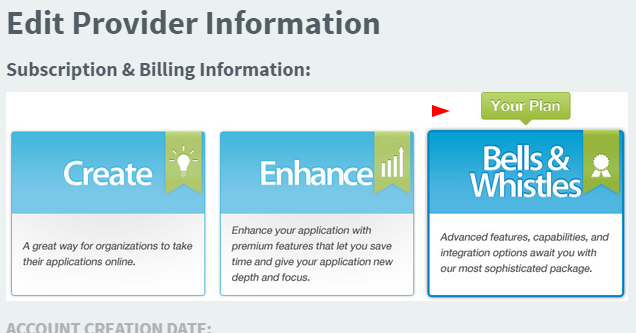 Enable Single Sign-On (SSO) for your SmarterSelect program – How can we help you? Single Sign-On (SSO) is available at the SmarterSelect Bells & Whistles level. If the feature is turned on at the account level it will automatically be enabled when any new program is created. You can verify that you are at the Bells & Whistles level by clicking on the "Settings" option at the top of the screen and then selecting "Account." When creating a new program at this level, under "Options and Customization" verify that the box is checked to activate "Use SSO (Single Sign-On) Authentication for this Program." 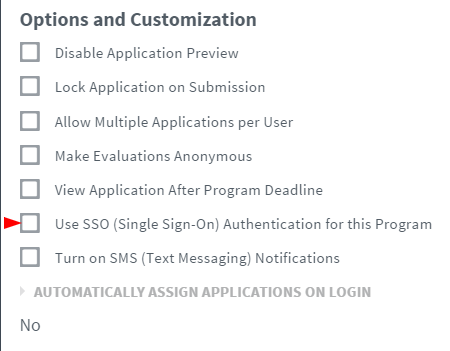 If you have existing programs when you activate the SSO function, you will need to go to each program and check the "Use SSO (Single Sign-On) Authentication for this Program." Any new programs created will have the SSO function automatically activated.